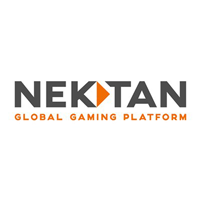 Shares of Nektan PLC EPIC code: LON:NKTN has increased 5.76% or 0.98 points throughout the session so far. Investors have so far held a positive outlook throughout the trading session. The periods high figure was 17.98 while the low for the session was 17.98. The amount of shares exchanged has so far reached 1,602 whilst the average number of shares exchanged is 27,454. A 52 week high for the stock is 34 equating to 17 points difference from the previous close and the 52 week low at 14 making a difference of 3 points. Nektan PLC now has a 20 SMA of 19.19 with a 50 day simple moving average now of 20.32. Market capitalisation is now £8.52m at the time of this report. Share price is traded in GBX. Mcap is measured in GBP. This article was written with the last trade for Nektan PLC being recorded at Wednesday, December 12, 2018 at 8:26:00 AM GMT with the stock price trading at 17.98 GBX. The stock price for Whitbread plc EPIC code: LON:WTB has risen 2.4% or 107 points during today’s session so far. Traders have remained positive during this period. The periods high figure was 4562 and hitting a low of 4421. Volume total for shares traded during this period was 120,741 while the average shares exchanged is 785,047. The 52 week high for the shares is 4800 some 350 points difference from the previous close and the 52 week low at 3606 which is a difference of 844 points. Whitbread plc now has a 20 moving average of 4639.8 and also a 50 day moving average now at 4602.4. This puts the market capitalisation now at £8,368.35m at the time of this report. The share price is in GBX. Mcap is measured in GBP. 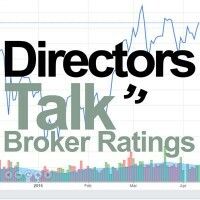 This article was written with the last trade for Whitbread plc being recorded at Wednesday, December 12, 2018 at 12:02:27 PM GMT with the stock price trading at 4557 GBX. The share price for Associated British Foods plc with ticker code: LON:ABF has gained 2.74% or 59 points throughout the session so far. Buyers have stayed positive during the trading session. The periods high figure was 2213 and a low of 2141. The total volume of shares exchanged through this period comes to 454,547 while the daily average number of shares exchanged is 1,692,970. The stock 52 week high is 2912 some 761 points in difference to the previous days close of business and a 52 week low sitting at 2136 a difference of some 15 points. Associated British Foods plc now has a 20 moving average of 2451.05 with a 50 day simple moving average now at 2425.4. The current market capitalisation is £17,496.00m at the time of this report. The share price is in Great British pence. Mcap is measured in GBP. This article was written with the last trade for Associated British Foods plc being recorded at Wednesday, December 12, 2018 at 12:02:33 PM GMT with the stock price trading at 2210 GBX. The trading price for SSE PLC found using EPIC: LON:SSE has stepped up 1.04% or 11 points in today’s trading session so far. Traders have remained optimistic throughout the trading session. The high for the period has peaked at 1076 and hitting a low of 1054. The amount of shares exchanged has so far reached 897,174 with the daily average traded share volume around 4,709,873. The 52 week high is 1449.5 around 388 points difference from the previous days close and the 52 week low at 1032 is a variance of 29.5 points. SSE PLC now has a 20 SMA of 1123.05 and now the 50 day SMA of 1141.83. The current market cap is £11,009.62m at the time of this report. The share price is in Great British pence. Mcap is measured in GBP. This article was written with the last trade for SSE PLC being recorded at Wednesday, December 12, 2018 at 12:02:24 PM GMT with the stock price trading at 1072.5 GBX. Stock in HSBC Holdings plc EPIC code: LON:HSBA has climbed 2.03% or 13.1 points during today’s session so far. Market buyers have stayed positive throughout the trading session. Range high for the period has seen 660.5 meanwhile the session low reached 650.6. The total volume of shares exchanged through this period comes to 5,137,562 while the average shares exchanged is 26,719,813. The stock 52 week high is 798.6 some 154.3 points different to the previous business close and a 52 week low sitting at 596.4 a difference of some 47.9 points. HSBC Holdings plc now has a 20 SMA of 664.47 and now the 50 day simple moving average now at 650.7. This puts the market cap at £131,704.72m at the time of this report. The stock is traded in GBX. Mcap is measured in GBP. This article was written with the last trade for HSBC Holdings plc being recorded at Wednesday, December 12, 2018 at 12:02:33 PM GMT with the stock price trading at 657.4 GBX. The stock price for Imperial Brands PLC ticker lookup code: LON:IMB has gained 2.29% or 55 points throughout today’s trading session so far. Investors have remained positive while the stock has been in play. The periods high has already touched 2464 dipping to 2418.5. Volume total for shares traded during this period was 613,440 while the average shares exchanged is 3,100,520. The 52 week high price for the shares is 3193.5 around 792.5 points difference from the previous close and the 52 week low at 2298 is a variance of 103 points. Imperial Brands PLC now has a 20 simple moving average of 2499.2 and now a 50 day simple moving average now at 2611.67. The market cap now stands at £23,423.78m at the time of this report. Share price is traded in GBX. Mcap is measured in GBP. This article was written with the last trade for Imperial Brands PLC being recorded at Wednesday, December 12, 2018 at 12:02:25 PM GMT with the stock price trading at 2456 GBX. Click ABF HSBA IMB NKTN SSE WTB for the full archive.